Sarasota Tree Care Services is dedicated to preserving our urban forests and landscapes. 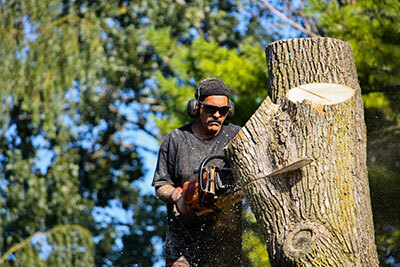 We are the go-to tree service expert in Venice Gardens, FL. Our commitment to excellence has placed us ahead of the pack when it comes to tree trimming, removal, and preservation. We have a team of certified technicians that consult with our customers daily on how to treat and manage property greenery. We love trees and everything about them. We work hard to make sure they bring our customers the same joy. Trees are the unsung hero of beautiful urban landscapes. They offer shade, curb appeal and help relieve the stress of the daily hustle and bustle. We work hard to make sure property owners take pride in their trees and other greenery by handling the stress of upkeep. No matter the job or the tree, Sarasota Tree Care Services is here to help. 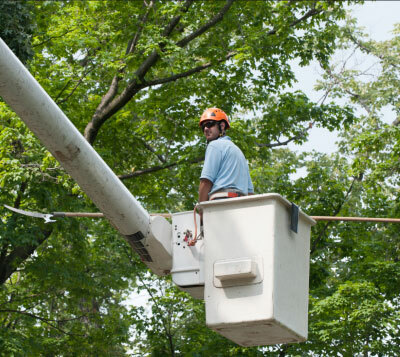 Our years of business as tree experts have made us the preferred tree service company in our community. Our reputation has been built by creating the best environment on our customers’ properties during each project. We have dedicated arborists who can answer any questions about tree health and growth. Before we start work on a project our technicians inspect a property’s trees to see if there are any unnoticed issues that need to be brought to an owner’s attention. We work with owners on solving problems like overgrown roots, dying trees, and other complex issues. Our team can handle anything from trunk removals to fertilization and fire mitigation. Designing a property’s tree landscape takes years of care. People become attached to the trees because of how much time they’ve spent keeping them healthy. They are a living part of a property; however, sometimes trees die. It’s important to stay on top of dying or dead trees because they can become hazardous if too close to a structure or power lines, etc. The last thing anyone wants is someone getting hurt or becoming involved in some legal battle because a tree fell onto a neighbor’s property. We can help with tree inspection services to update you on where your trees are in their life cycle so you can prepare accordingly. One of the services we specialize in is stump removal. Stumps are heavy and rooted firmly in the ground. Removing stumps requires technical expertise and special equipment. Our resources enable us to grind stumps quickly for immediate removal. For all your tree-related needs, call Sarasota Tree Care Services to talk about how we can get started. We know that a person’s property represents a significant investment, and we do our best to make sure the trees there contribute to that. A well-kept property speaks volumes about its owners or residents, and our team is dedicated to making the trees there look great. So for any trimming, removal, fertilization, or general upkeep, look no further than Sarasota Tree Care Services.